I have been running since 2011 and have completed 7 marathons to date (fastest time: 2 hours 54 minutes at Florence Marathon 2017). I am very competitive with myself and once I have achieved a certain target, I am already thinking about the next one! I can often be found running along Brighton and hove seafront. When I'm not running, I enjoy spending time with my friends and family. I just love trailrunning, e.g. running through forest, hills, mountains, along the beach, through farmland, up & down, left & right, mud, wet, rocky, dust, off road, winding paths, desert, snow, high altitude. Long before it was called trailrunning probably many of us were already enjoying just running through nature. Now you have trailrunning, mountain running, vertical ascent and descent …and ultra trailrunning ... going past the marathon distance ... 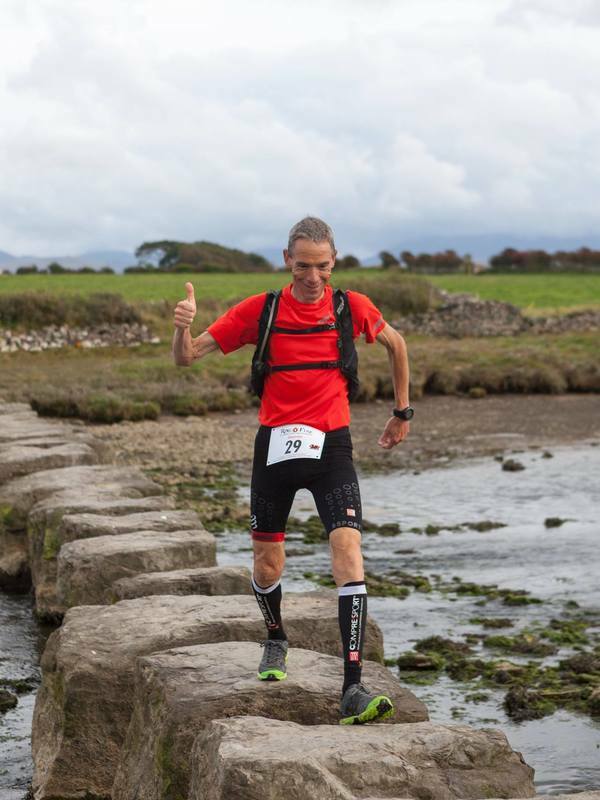 I am certainly hooked on the longer distance and multi stage trailruns both organised and on 'do it yourself'- just follow a national trail and camp or B&B'. 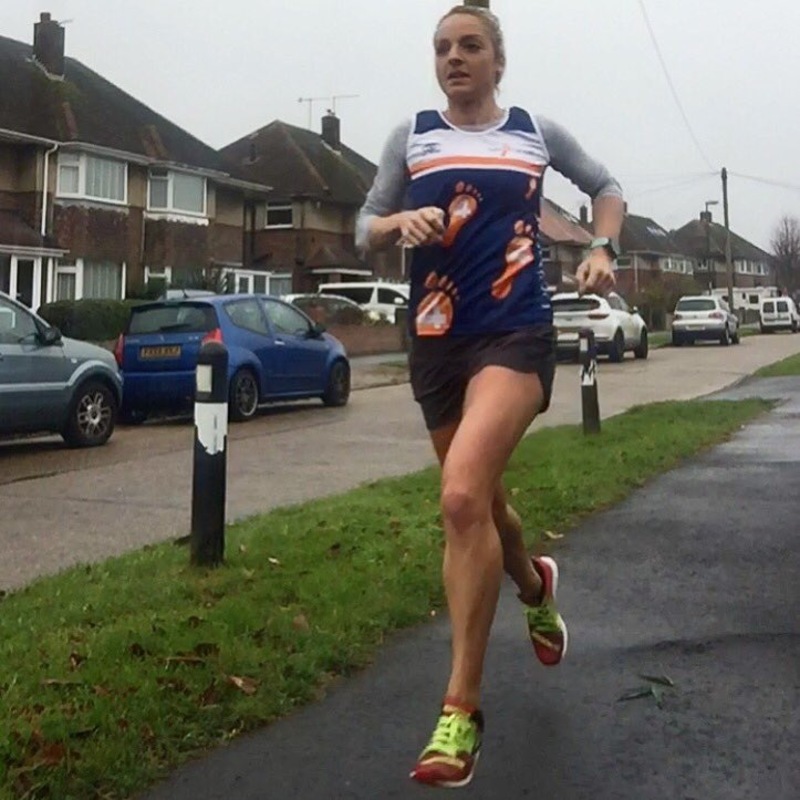 Experiencing myself the healthy and mindful benefits of being outdoors and knowing how much especially my mother and mother-in-law enjoyed being out walking and cycling, I am really proud that Run 4 Cancer asked me not only to raise funds but also be an ambassador. My focus is on getting people out of the house, away from the road and onto the trails by organising local trailrun clinics and writing and talking about my passion! The trails are there for all of us to explore, enjoy, leave nothing behind but your footsteps and take home a great feeling of satisfaction and good memories. It fits Run 4 Cancer with its focus on the mental benefits of going 'out of the door' on coping with cancer and supports research in this specific area of cancer treatment (as part of an holistic approach to cancer treatment). 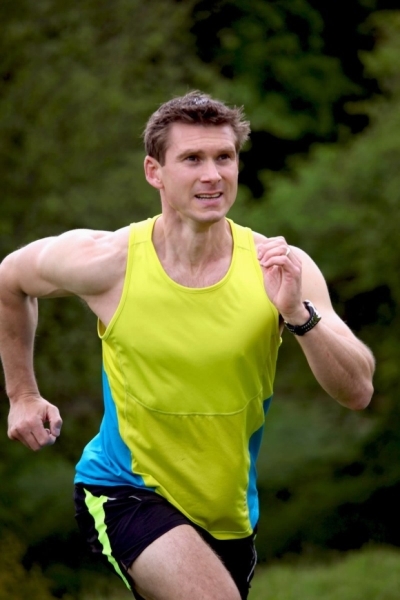 If you live near Northwood, London, so if you want to experience trailrunning just let me know. 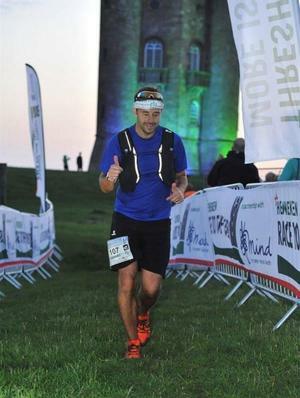 I will show you the richness of English trailrun nature for a small donation :). You can follow Geordie's journey here. When growing up I was part of the cross country and athletics running team at high school. I enjoyed the miles that we had to run, maybe it was something to do with being out of a classroom! As the years went on due to the fact I had a drivers license I stop running. I hit my late 20’s and I started to run again, just for the odd occasion and along the beach of an evening. This led to the dream of running a marathon. As I was a crew member of the local RNLI Lifeboat I ran the London Marathon to celebrate my 30th. From then on I was hooked. I ran more and more and the distances were creeping up too. It led to training for triathlons too. In 2012 I was supporting a team running from the Arc d Triomphe to Marble Arch, Paris to London. One day I decided to join them, 35 miles later I stopped. As the years went on the more 10kms, half marathons and marathons I did and so I wanted the next challenge, 2018 was the year of the Ultra Marathon, 53 miles. I’m truly honoured to be asked to be an ambassador for Run 4 Cancer, I hope that I can raise even more awareness for the charity and raise the vital funds to help people with this dreadful disease. I came across Run 4 Cancer while I was looking for a charity to support while running my first (and probably last) marathon. In April 2013, my Dad was diagnosed with cancer for the second time. After having two years of clear results, it had come back. This completely floored us as a family. Especially when the Doctors told us we probably had 6 months left together. 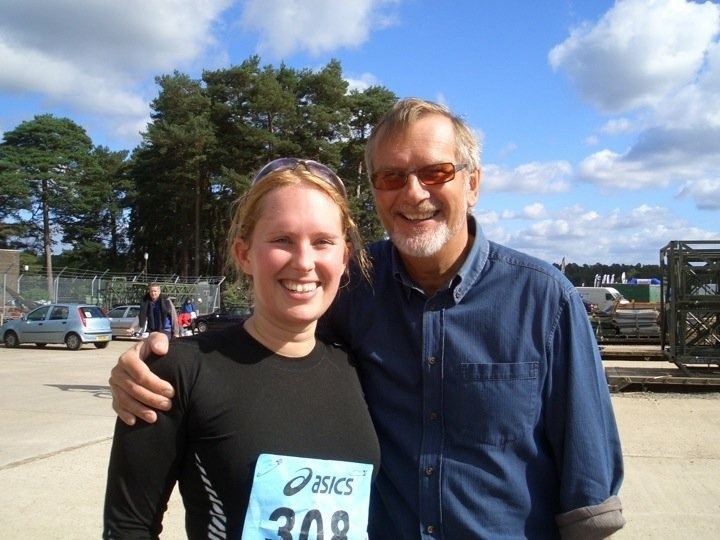 I made a decision to run my first marathon for my Dad. I grew up in New Milton, where the New Forest Marathon used to start and finish. My Dad was a local GP to the area for many years, so what better race for me to enter, as Dad wouldn’t have to go too far to watch me over the line and was a marathon we knew well growing up as a family. 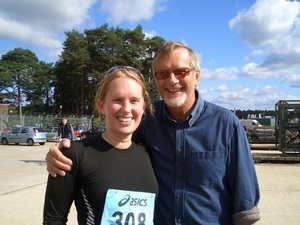 For my first triathlon in 2010, Mum and Dad came to support me and watch me over the line. And brought a well-deserved post-race picnic. My Dad was a very active man, we spent a fantastic two-week holiday for his 60th birthday sailing in Turkey with my husband, Mum and a very good friend of theirs. He loved his sailing, golf, cycling in the new forest and walking in the hills. He was taking Italian classes with my Mum, as it was a country they dearly loved and had once thought about retiring over there until the first diagnosis. We were all booked to go on a family sailing respite day with Run 4 Cancer, a few days before my parent’s ruby wedding anniversary in June 2013. Unfortunately, Dad passed away on 18th May 2013, 6 weeks after his diagnosis. Significantly quicker than the 6 months we had been hoping for. I went on to run the marathon with a great big picture of my Dad on my back, the support out there although not as busy like the London Marathon, but from the runners particularly the 100 club was amazing. I managed to get over the line in 5 hours and a few seconds. We had a post marathon drinks back at my Mum’s house in memory of Dad. And in the process, I managed to raise some money for Run 4 Cancer. I am happy to be an Ambassador for Run 4 Cancer because of what the charity offers, respite days for families dealing with cancer and supporting local hospices with grants. The smaller things that reach families far quicker than the medical research charities, and can really make a significant impact on a family. You can’t beat a lovely fresh morning run to get rid of your worries and brighten up any day.